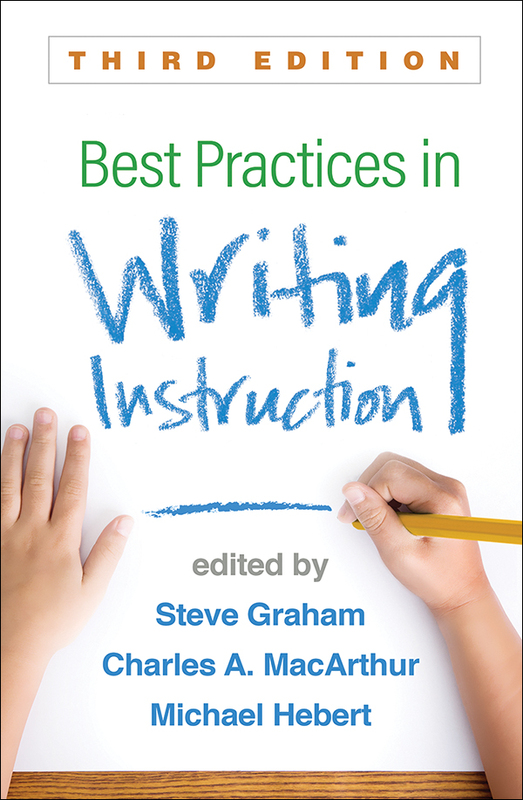 Well established as a definitive text—and now revised and updated with eight new chapters—this book translates cutting-edge research into effective guidelines for teaching writing in grades K–12. Illustrated with vivid classroom examples, the book identifies the components of a complete, high-quality writing program. Leading experts provide strategies for teaching narrative and argumentative writing; using digital tools; helping students improve specific skills, from handwriting and spelling to sentence construction; teaching evaluation and revision; connecting reading and writing instruction; teaching vulnerable populations; using assessment to inform instruction; and more. Chapters on new topics: setting up the writing classroom and writing from informational source material. New chapters on core topics: narrative writing, handwriting and spelling, planning, assessment, special-needs learners, and English learners. Increased attention to reading–writing connections and using digital tools. Incorporates the latest research and instructional procedures. See also Handbook of Writing Research, Second Edition, edited by Charles A. MacArthur, Steve Graham, and Jill Fitzgerald, which provides a comprehensive overview of writing research that informs good practice.